The largest proportion of this debt is often used to purchase a valuable asset – the family home. With careful planning, you might be able to control your household debt and use it to grow wealth and secure your future. The debt to income ratio of Australian households recently reached 200%ii – the highest in history – and is expected to peak at around 205%iii. The level of debt has been driven by several factors, largely the record housing prices reached in the property market, a period of low interest rates and relaxed lending standards for home loans. As this chart from the Australian Bureau of Statistics demonstrates, the vast majority of household debt is in property loans. The level of debt is also becoming more challenging due to household income failing to increase at the same rate. While housing prices are starting to slow down, interest rates are expected to increase which means that some may start to feel the pinch of mortgage stress. By getting ahead of the trend, you may take control of your household debt and minimise financial stress in the future. The key to achieving this is understanding which debts are good and which are bad. There is a common misconception that all debt is bad, but this isn’t true. Good debt allows you to invest in assets that could increase your wealth. Loans to purchase shares, student loans for education that increases your income-earning potential, and home loans all fall within the category of good debt. Bad debt is incurred to purchase items that decline in value or do not contribute to your wealth. This may include credit cards and personal loans, particularly if you’ve used them to purchase, holidays or a motor vehicle that declines in value the minute it’s driven off the lot. Regardless of the type of debt you have, it’s possible to have too much of a good thing. Debt in any form carries a level of risk. 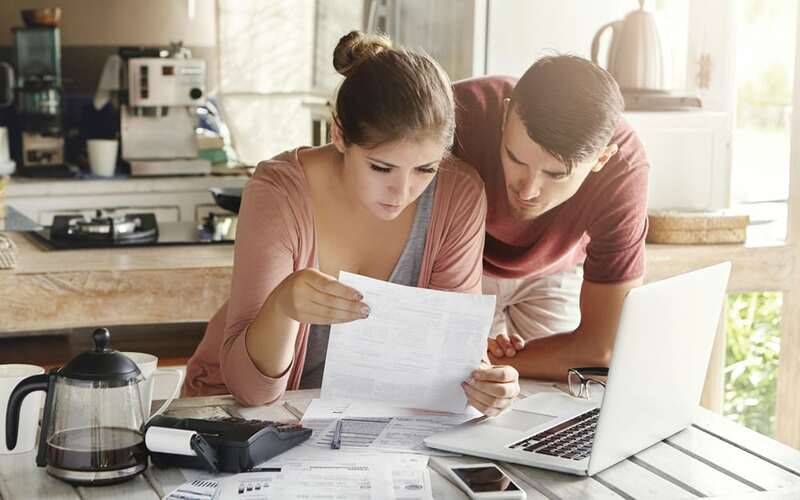 Losing your job, borrowing beyond your means and interest rate hikes can all place your household in financial stress and make it difficult to meet repayments. Create a budget: Understanding what money you have coming in and going out each week is the first step in understanding debt. Identify and categorise debts: You may have some debts that have gone under the radar – like that credit card you make the minimum monthly repayment on. Identify all the debts that you have and then classify them as either good or bad debts based on their potential to increase or decrease your wealth. Prioritise debts: Trying to manage multiple debts at a time can be overwhelming; prioritising your debts will provide direction and keep you on track. Initially, you could try and reduce the level of bad debt, taking into account the nature of your loans including applicable interest rates and relevant fees. Consolidate debts: Sometimes it may make sense to roll all your debts into one facility. This could make them more manageable because you only have one debt to pay down and can potentially reduce the number of fees or the amount of interest you’re paying. Controlling your household debt is not always easy but it could generate great rewards. Talk to us if you’d like a hand managing your household debt.